Topics include: Marriage Equality and the Intersection with Freedom of Religion, Transgender Law, Employment, Housing, and other Discrimination in the LGBT Community, Law and Religion, and Equality in Metropolitan America. Registration is closed. Media may contact Allison Regan at ahregan@central.uh.edu for space requests. 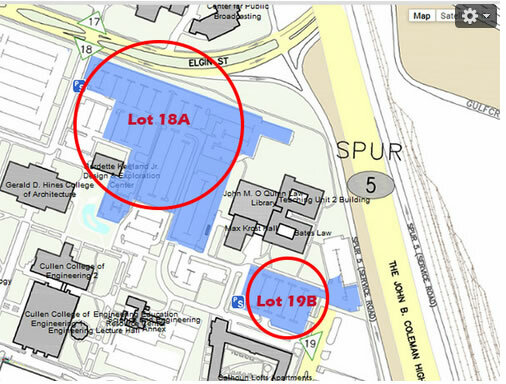 Parking will be available for free in Lot 19B or 18a (pictured below). You will not need a parking tag.